This week the donations for Harvest Festival have been pouring in. 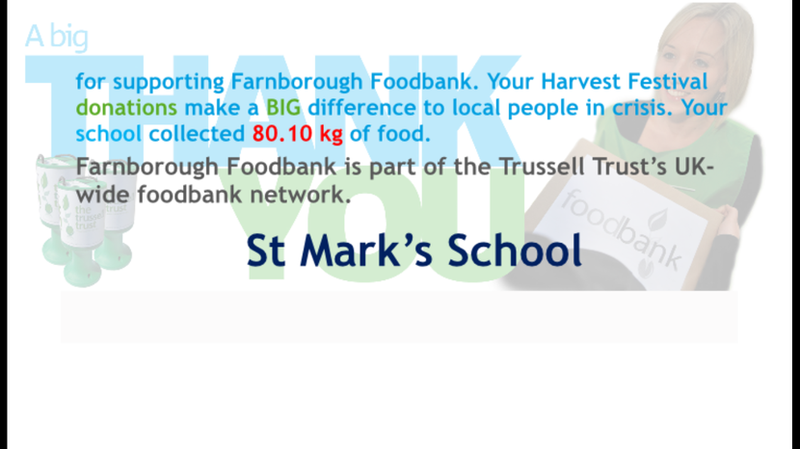 All of the non-perishable items will be donated to the Farnborough Food bank, who are committed to supporting those in need in our local community, ensuring there is ‘enough for all’. 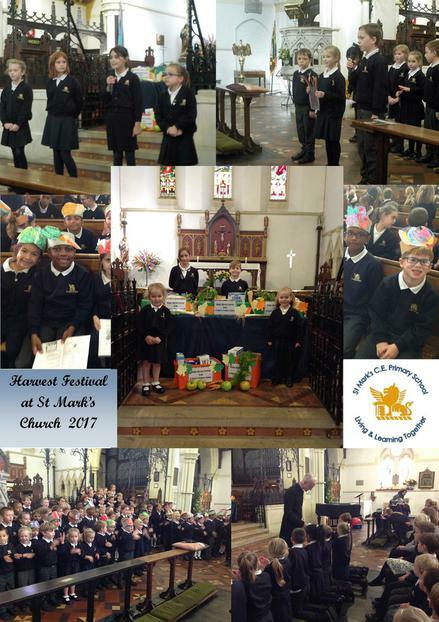 Mike from the Food bank joined us for the service at St Mark's Church and explained the importance of the food bank in the local community. Thank you all for your very kind donations. Year R, 1 and 2 started the service by explaining the importance of sharing. Year 3 and 4 summarised the theme by explaining how we can share with each other. Year 5 and 6 led a presentation that helped us reflect on what we can do for ourselves to be better people. During the service the children enjoyed sharing the Bread of Friendship and sang a beautiful a cappella style, two-part song, 'Shallom', to help us think about friendship. The service ended with some reflective words and prayers from Father Ian, and of course, our all time favourite - Big Red Combine Harvester!